Whew where has this week gone? Friday already, sure has been a busy week here at Imagination Crafts Towers! Did you manage to see Sue on Create and Craft yesterday? Wasn't she brilliant? This gorgeous creation is made by Nicky who is another new member of the team. Please do visit Nicky's blog to see how she made this! Create and Craft here we come! Well today is the day that Sue makes her debut on Create and Craft at 2.00 pm. Stephanie Weightman will be the presenter with our Sue so we should have a lot of giggles and some fun! 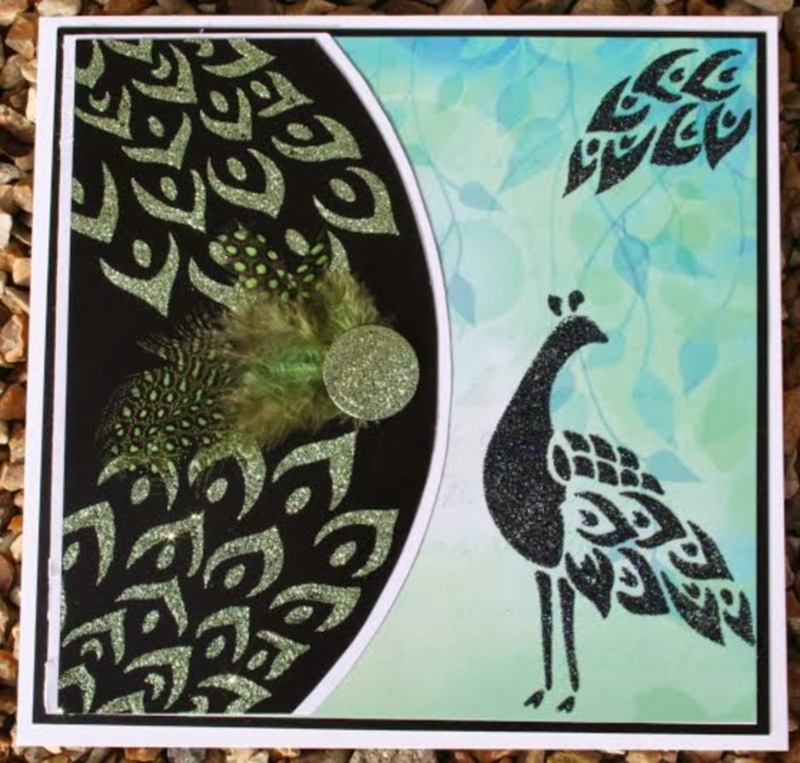 I know that Sue is looking forward to getting as many demonstrations in as she can using the fabulous Sparkle Medium, Stencils, and Glossy and Patterned Card. 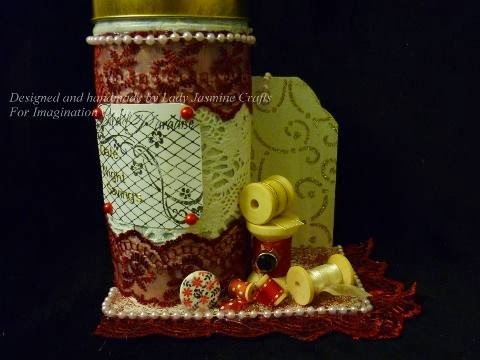 Here is a card that Sue has made for the show! Enjoy the Show, I know I will! We hope you are all keeping well and enjoying your week. Here is Avril's card, isn't it beautiful? 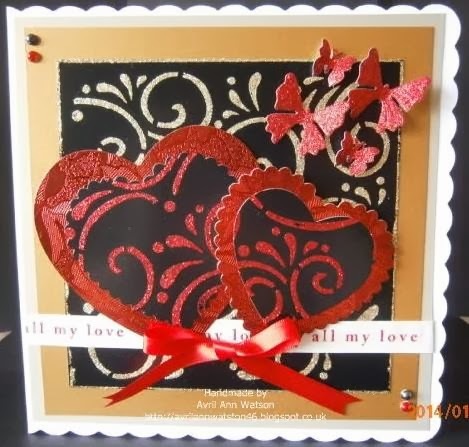 Please do hop on over to Avril's blog to see how she created this card. We hope that you all had a wonderful weekend. Did you hear our News? Thursday 6th February at 2.00 pm! 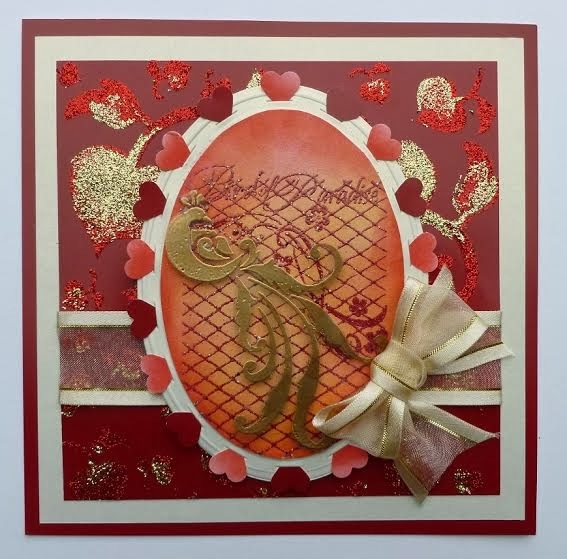 Tonight we are showcasing Jennifer's card, Jennifer is one of our new design team members for our Challenge Blog, the theme this month is "Love is in the Air"